The Grand National is one of the highlights of the sporting calendar, not just in England but across the world. It’s therefore, exceptionally well attended and tickets sell out fast. Get your Grand National Tickets to ensure you don’t miss out on the action. The 2019 Randox Health Grand National took place from Thursday 4th April to Saturday 6th April, with the big race on the last day. Grand National Thursday is the opening day for the most iconic horserace in the world. Therefore, it’s the perfect day to ease into the action of the whole festival. The iconic races held on this day include The Aintree Hurdle and the Randox Health Foxhunters’ Steeple Chase. Furthermore, it is cheaper than the other Festival days. As a result, it’s always a great way to get into the excitement early. Can’t get to the Grand National? Ladies Day #fabulousfriday is always a fashionable affair continuing years of well-dressed tradition. #FabulousFriday is the day where everyone is encouraged to dress to the nines, dust off the suits, heels, hats and fascinators and show your sense of style. 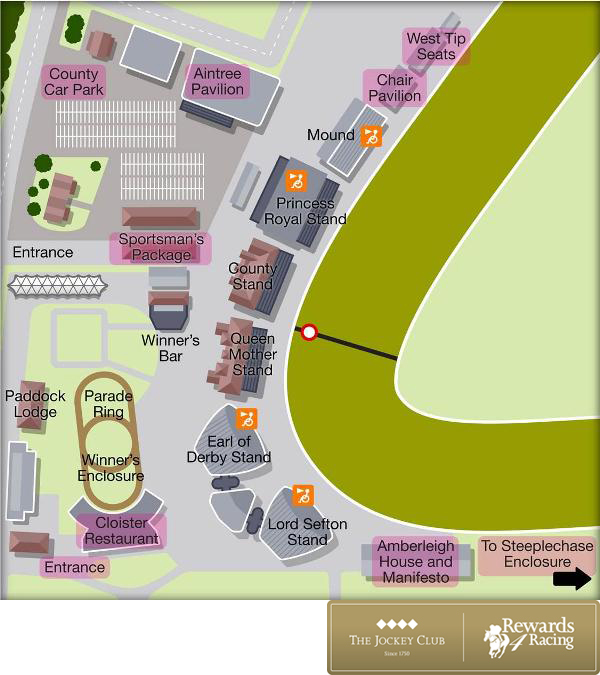 The Red Rum Garden is, firstly, the centre of the action where fashion ambassadors select the winner of the Style Award. The grand prize winner receives a car. In addition to the fashion on the field, racing continues. The JLT Melling Steeple Chase and the Randox Health Topham Steeple Chase are among the most popular races of the day. The race that stops not only a nation but millions from around the world. It is the pinnacle of jump races and steeped in a long and colourful history. The Grand National is consequently unlike any other race. Witness the speed, strength and thundering hooves of 40 of the world’s most agile horses for yourself in 2019! 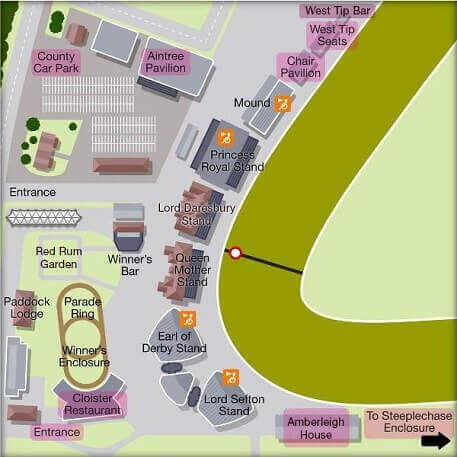 Tickets and hospitality can be purchased online, from the racecourse or by telephone on 0344 579 3001. The sales office within the Princess Royal Stand reception is open Monday to Friday, 9:00am – 5:00pm. Hospitality bookings can be made by telephoning 0151 522 2911. Finally, online orders needed to be mailed or collected are subject to a per order fee of £1.50. If the tickets are print at home, subsequently, no charge is applied. Grandstand badges are limited to a maximum of 10 per customer. Image by The Jockey Club. Can't get to the Grand National? Watch here!